Written by owl and bear staff on Wednesday, November 5th, 2014 at 10:00am. After reforming as a four-piece this summer, San Diego’s Flaggs are back stronger and more exciting than ever. Case in point: the new video for “Got You Down,” the infectious first single off the band’s upcoming EP, Beach In Her Hair. 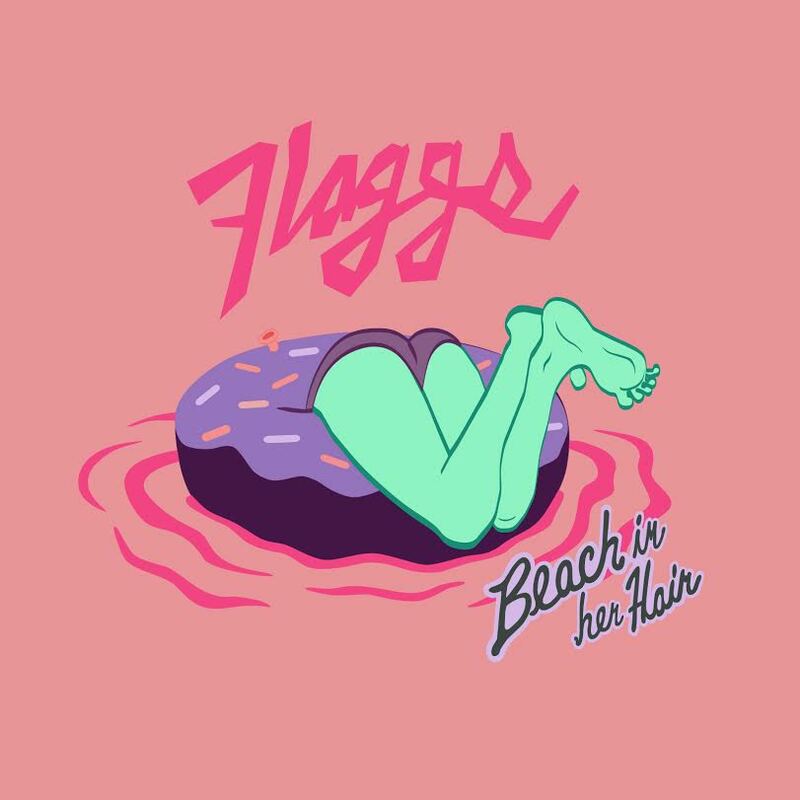 The song has everything we’ve come to love about Flaggs: seductive guitar licks, a chorus you can’t help but sing along to, a snarling punk attitude tempered by a sugary pop heart, and a sun-kissed SoCal vibe that’ll keep you warm through this month’s horribly frigid mid-60s temperatures. 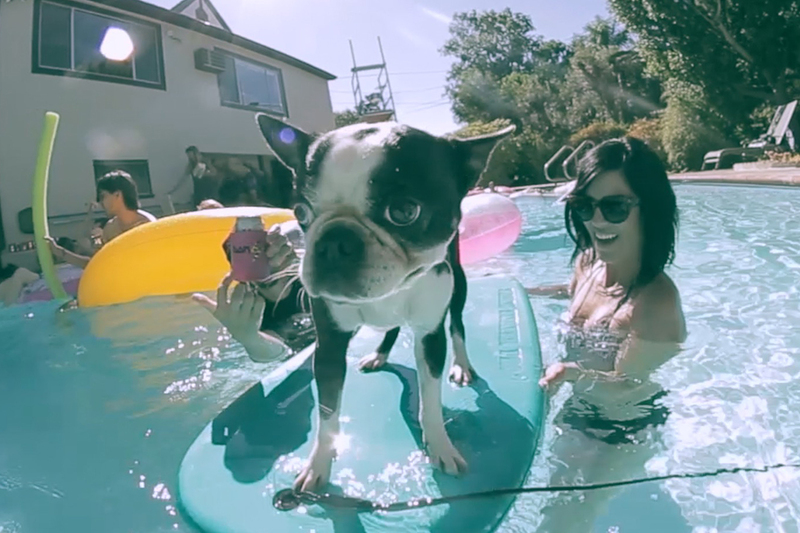 The pool party-themed video for “Got You Down” was directed by Cameron Franco — who also helmed the group’s recent behind the scenes photoshoot video — and shot by Franco and Andrew Hartsock. It was edited by Owl and Bear’s own Chris Maroulakos. The three-track Beach In Her Hair EP was recorded at Earthling Studios with Mike Kamoo. Tracks were mixed by Mike Kamoo and The Nervous Wreckords’ Brian Karscig. Pre-orders will be available on iTunes beginning November 11. You can see the EP artwork and tracklist below. Flaggs will celebrate the release of Beach In Her Hair on November 19 at the Casbah. They’ll be joined by Soft Lions — who recently put out their own video directed by Maroulakos — and Shake Before Us. Those of you with early bedtimes can also catch Flaggs at their M-Theory Records in-store performance on November 22 at 3pm. In the meantime, sit back and let the cool, chlorinated waves of “Got You Down” wash over you. You’ll be glad you did. Video Premiere: Flaggs - "Take a Ride"